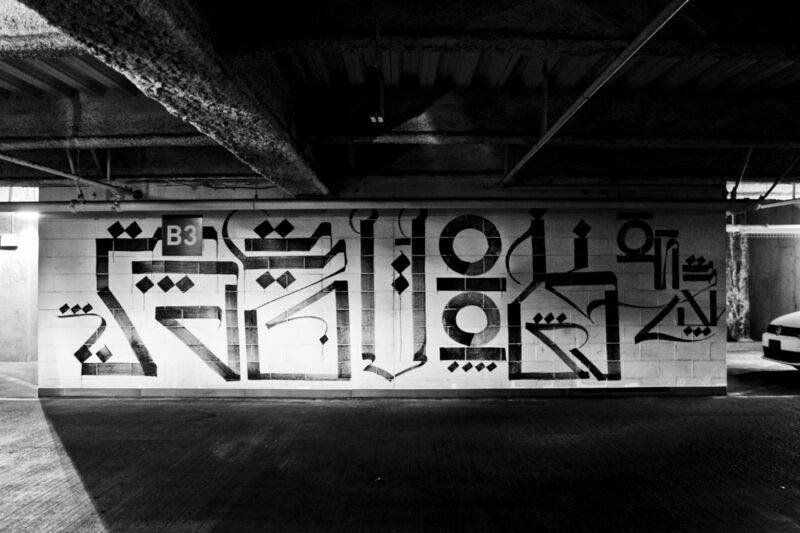 Notorious Los Angeles writer RETNA (featured), who we saw go all in for the Boneyard Project in Arizona, recently also released photos of some work he did in the garage of the Metropolitan Hotel. Repping his crew with his signature calligraphy, you can see the words As We Rise, Mad Society Kings, and The Seventh Letter in the background. Also included were walls that were shoutouts to other members as well as his alter-ego Brimstone. See more photos after the jump by Gypsy One. Photos by Gypsy One via Tipped off by Revok. Categories: Street & Urban Art. 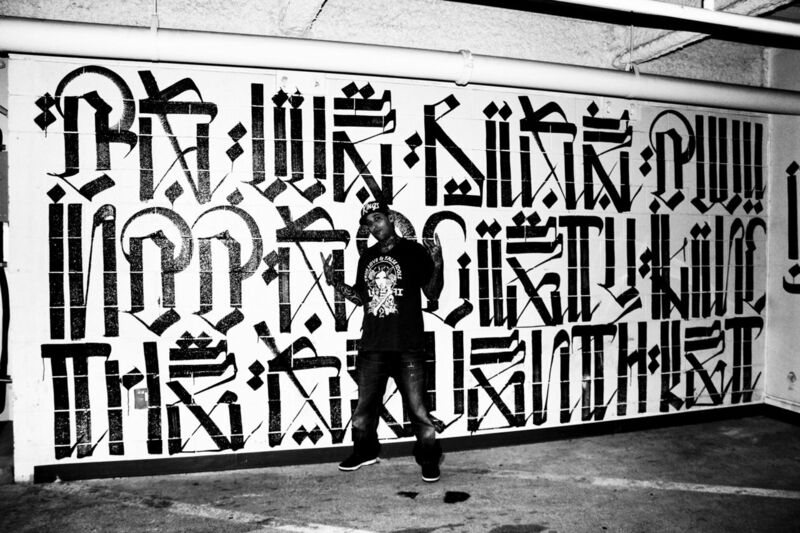 Tags: Los Angeles, Retna, Street & Urban Art.